OK, so let not make the process of hauling the detritus of entire adult life from one address to another more emotionally laborious by hurting ourselves. So many household items require actual muscle to lift and carry: Refrigerators, washing machines, cabinets, a mattress. Moving big-ticket items are just injuries waiting to happen. Even carrying 70-80 pounds, which is a good range for most new versions, is tough. Many weigh up to 100 pounds. Your mattress is also bulky and oddly shaped at roughly 5 feet long and 6 1/2 feet long for a queen-sized version. You’re not going to stick that thing under your arm and walk out the door and you don’t want to risk throwing you back out of whack. Though so many great mattresses come folded and rolled and delivered in boxes these days, once they’re fully inflated, you can’t really shove them back into a box or re-fold them for easier handling. You have to deal with the weight and the bulk. To do it yourself, first, pack it up. Wrap it in a mattress cover for transport. That’ll protect it from wear and tear during the trip. Then, make sure you have a big enough truck or van to haul the mattress. Don’t try to strap it to the top of your car. (1) It’s dangerous. If it slips, it could cause an accident. (2) Come on. A mattress strapped to the top of a car? That’s not a good look arriving in a new neighborhood where you know the neighbors are watching. Next, recruit a buddy or two to help. A mattress is like a rectangular-shaped football. How it’s made and shaped makes it thoroughly unpredictable when you’re handling it. It will bend and bow. It will be heavier than you think. You can’t shove it around by yourself. An extra pair of arms, legs and hands on the other side is a must. Finally, when you’re ready to move the thing, lift with your legs and stomach muscles, not your back! The quickest route to the doctor is bending over to try to lift heavy items with just your arms and back. Bend your knees and keep your back straight. And don’t twist or turn while lifting. Change direction with your feet. Make sure you’re supporting your weight at your core. You’re telling me you don’t have three strong able-bodied 20-something nephews and their still underemployed friends to move your things for the price of four large pizzas and two cases of beer? No worries. You’re a functioning adult. Do what functioning adults do when faced with an unpleasant task like moving mattresses and furniture: Hire someone to do it for you. Professionals are trained to avoid injury and insured to minimize the risk of damaging your property. Just picture it: Athos, Porthos and Aramis are doing the heavy lifting of mattresses, cabinets and couches into your new spot while you’re sitting on a beach chair at the front door, monitoring whilst sipping canned margaritas. It’s a good life if you can afford it. The online marketplace for mattresses has exploded this decade. That’s good for you and your move. So many companies will both deliver your new mattress and haul your old mattress away at a reasonable price. Think of the hassle you’re avoiding just by buying a new one. Anyways, using pull out sofas is not safe too, so better not compromise. Committing to a new mattress is also a great way to improve the quality of your sleep and your overall health. Science has been screaming at us for years to pay closer attention to how we sleep. Your move gives you the perfect excuse to address the mattress end of that. But, again, the marketplace for a good mattress has changed so much in the last five years, the search for one can seem overwhelming. Doing a little research to start will be time well-spent. You will learn so much about how mattresses work and are constructed and even how so many are handled and delivered (straight to your door!). Someone else is hauling your mattress around to your new spot? That’s one less moving-day headache. Modern mattresses are designed to address a wide range of needs, including alleviating back pain, easing acid reflux, or accommodating body size or sleep position. Believe us, you can both find the right one for you and avoid hurting yourself. 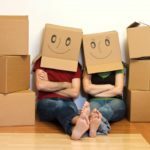 Moving homes is a huge undertaking and we want to help you treat it as such, but safely. Always safely. This entry was posted in Home Improvement and tagged Bed Mattress, DIY Moving, Home Mattresses, home moving, Home moving tips, House Move, House Moving, Stress-Free House Move. Bookmark the permalink.